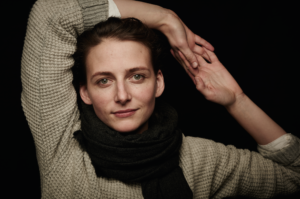 Jasmine Ellis is a Canadian choreographer and dance film director with based in Munich, Germany. A graduate of Etobicoke School of the Arts, The School of Toronto Dance Theatre and Codarts Rotterdam Conservatory, Ellis has worked professionally in dance as a performer and choreographer since 2006. Ellis’ own works are often collaborative endeavours either for the stage or film. She is regularly commissioned to create stage works internationally for companies, schools and in collaboration with theatre directors. Ellis is an award-winning film director and artistic director of Bad Posture Productions, founder of Bad Lemons and was resident choreographer for Springboard Dance Montreal Festival 2018. Recently she premiered “Empathy” an evening length work to such success and positive reviews that it was remounted to open the RODEO festival later that year. As part of the prestigious position of Resident Choreographer for the Springboard Dance Montreal Festival 2018, Jasmine Ellis showed two new works there: “back” and “until”. Ellis also created the dance piece „Teil“ on third year students at the School of Toronto dance theatre. In co-operation with director Caitlin van der Maas, she choreographed for the production “Romeo & Juliet for f*king ever“ a production by Münchner Kammerspiele. She was commissioned by Winnipeg Contemporary Dancers – Artist in Resident Program to develop the full length production “Lucas is Lonely” that will premiere in April. For the year 2019, Jasmine Ellis has received a grant from the Canada Arts Council for the her new production “Toni is lonely” that will premier in Munich as part of the DANCE Festival in May. In the same year Jasmine Ellis will develop a new dance film as part of the DANCE ALL YEAR LONG residency program in Denmark. Additionally she will release a short film that was created in collaboration with LajaMartin – Physical Dance Theater Company. Ellis has been awarded a grant from the Kulturreferat of the municipality of Munich and will be collaborating with Vienna based artist Evandro Pedroni for their new production “Everything Blue“ that will premiere at HochX in Munich in the fall. Ellis is an active member of the independent Munich dance scene and the Artistic director of Bad Lemons that invites internationally renowned artists to teach professional classes in Munich.